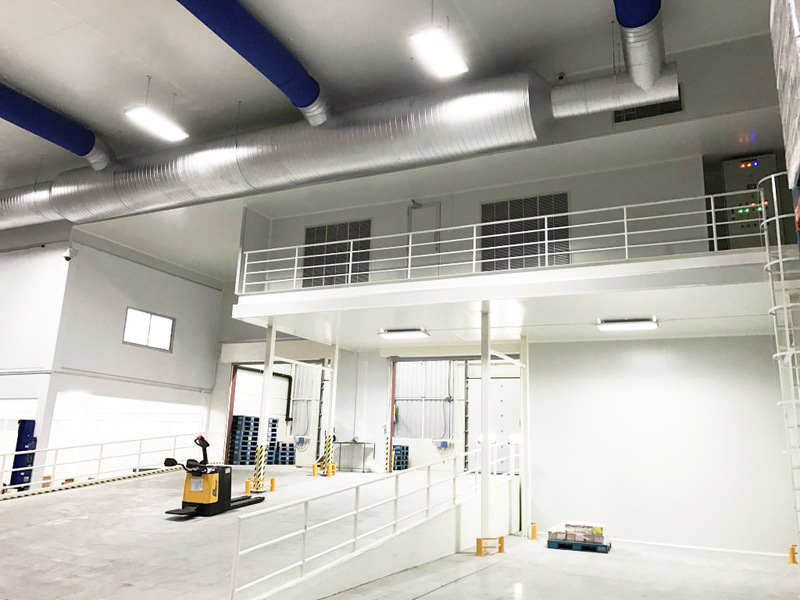 The requirement of this project is the air conditioning with humidity control system for the 2,772 square meters warehouse area. Also, any A/C equipment should not take much area of warehouse stored space. Initial and operation cost are required to be considered along with specify lead time. Calculating heat and moisture loads was the first step to start this project. 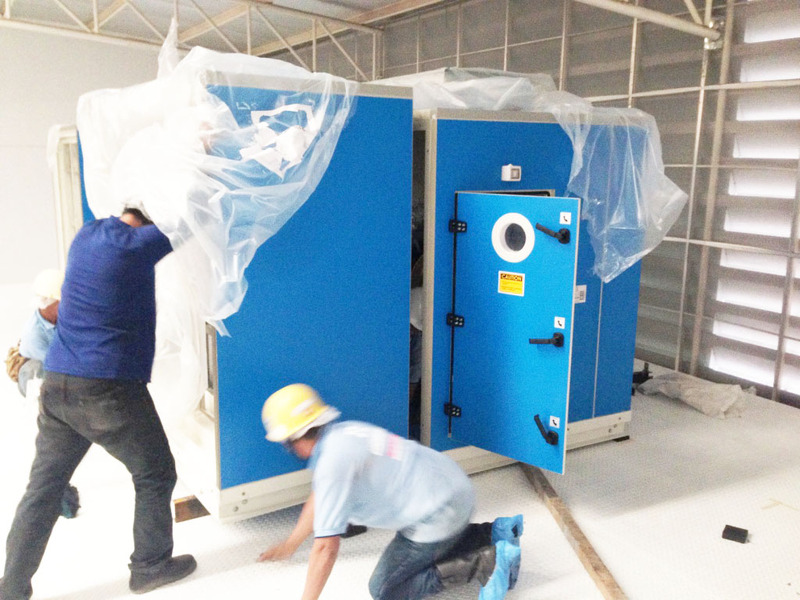 Selecting/designing Customized AHU, Dehumidifying Air Handler, and Fabric Supply Air Duct went along with after. 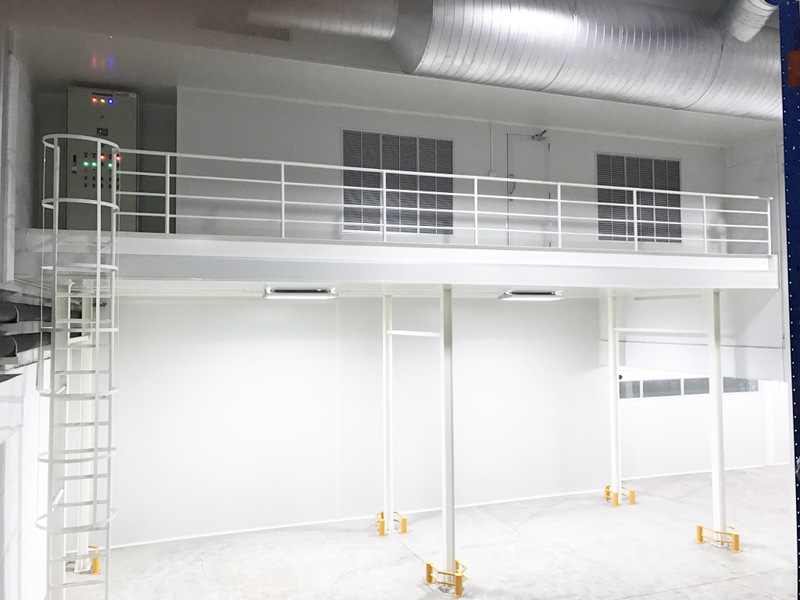 NANTIER team has designed to build up steel platforms at high ceiling area for AHUs and FAUs installation. 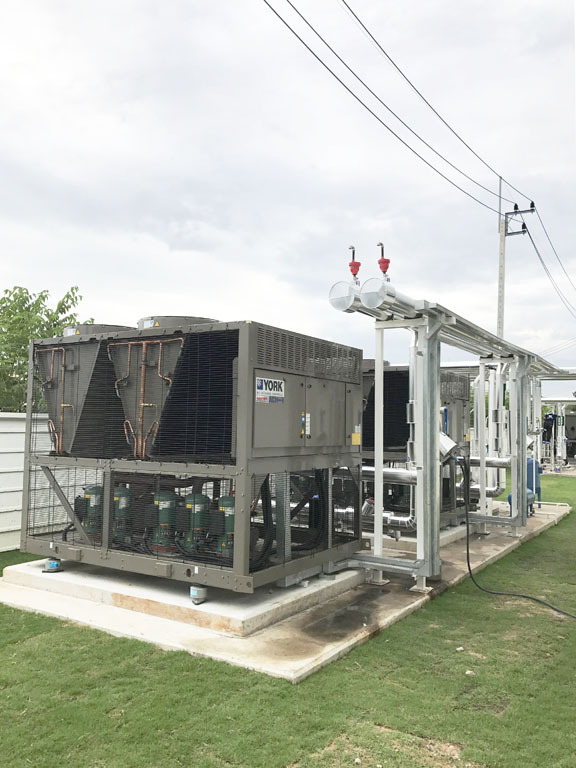 Air cooled chillers have been installed in the backyard of warehouse. 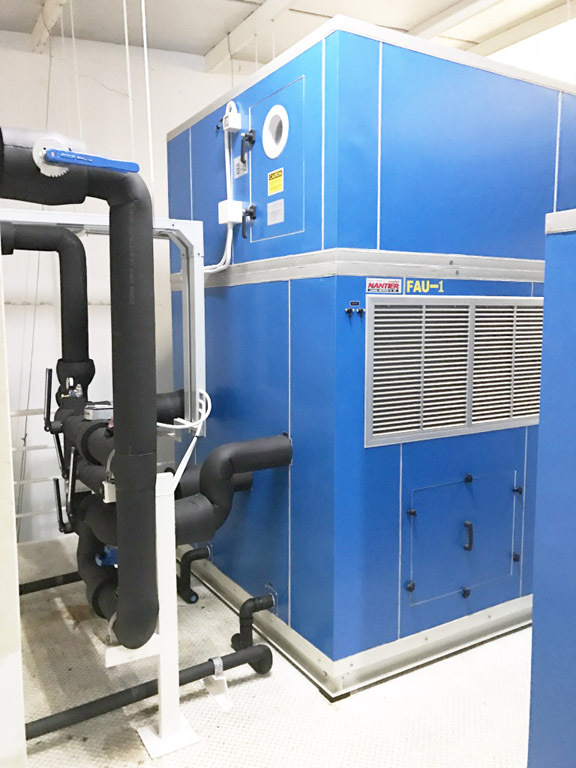 FAU (Dehumidifying Air Handler) was designed to fill cool dry air to the indoor area. 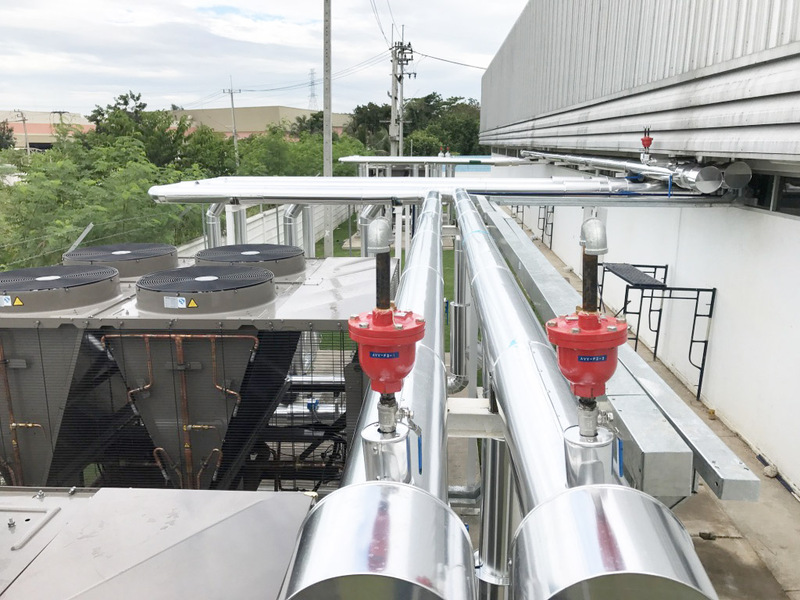 Two AHUs for each warehouse were designed to recirculate in order to cool the area with purpose of convenient maintenance. 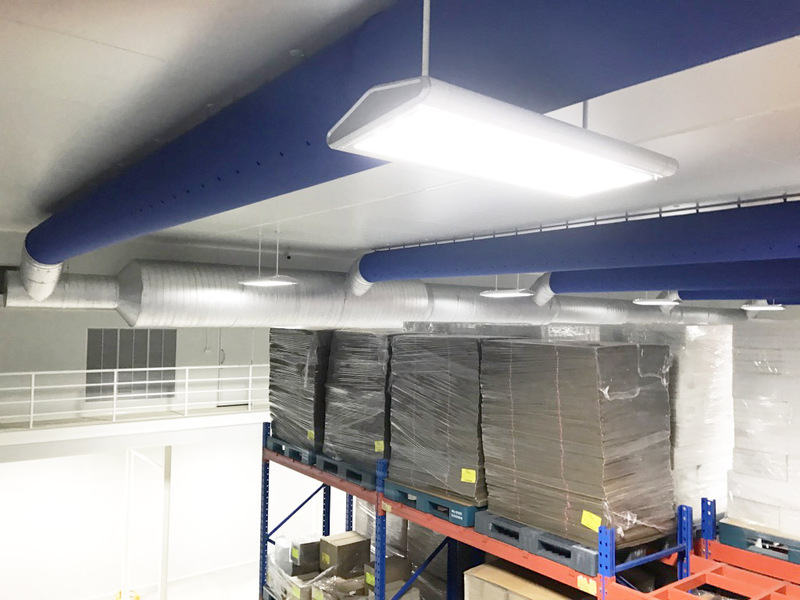 Fabric supply air duct was perfectly fit with warehouse area as they could go in between ceiling light suspensions. 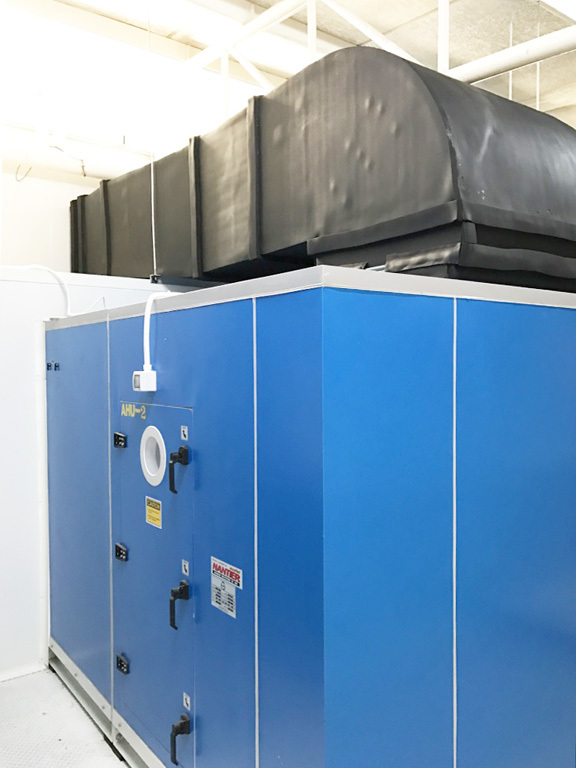 Ducts were tailored in Blue Combi 20, with OriFlow™ and FabFlow™, and suspended by Type 3 suspension, which allows easy removal for frequently washed applications. The result is an efficient, temperature and humidity is in range in few hours as its started. 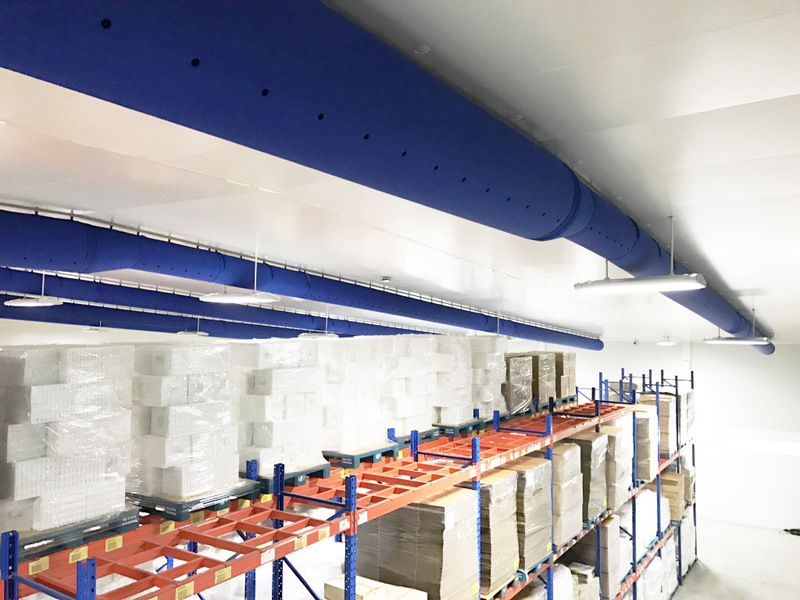 With fabric supply air duct, supply air from AHUs are delivered covering 2,772 square meters warehouse area with silence.